We are going to have a nephew! I am sooooo excited. 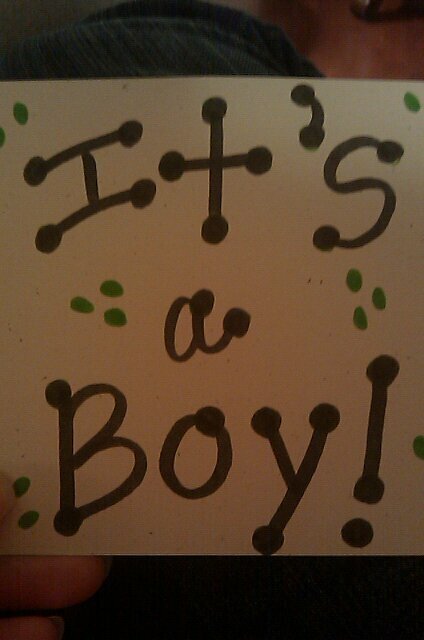 We found out a few days before Christmas that Amber and Andrew are having a little boy. We can't wait for him to arrive. Hudson Reid is going to be one spoiled rotten little boy! Brandon and I are already thinking of things that will make lots of noise that he will need as he gets a little older! Amber and Andrew had a gender reveal party a few days before Christmas. This is what we all saw when Amber and Andrew unwrapped their present that had the gender in the envelope.